GREAT BARRINGTON (January 16, 2019) — Clinton Church Restoration has announced the hiring of Huff + Gooden Architects as the project architect for the restoration and adaptive reuse of the historic Clinton A.M.E. Zion Church in Great Barrington. 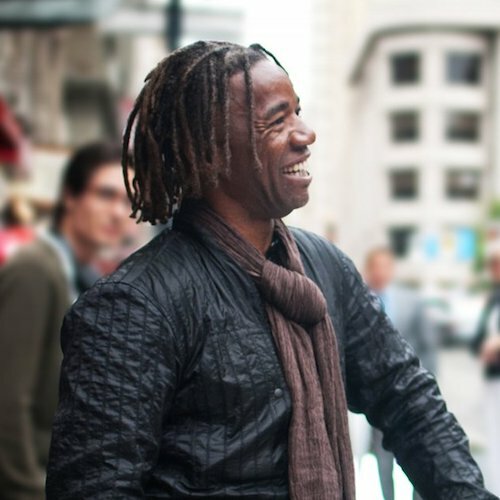 The New York City-based firm, headed by architect Mario Gooden, is one of the few African American architectural firms in the country. Joining Gooden on the design team is historic preservation architect John A. James, architect and historian Mabel O. Wilson of Studio &, and landscape architect Walter J. Hood of Hood Design Studio. Other team members include Silman Associates for structural engineering; Landmark Facilities Group for mechanical, electrical, plumbing and fire protection engineering; Berkshire Engineering for civil engineering and Accu-Cost for cost estimating services. 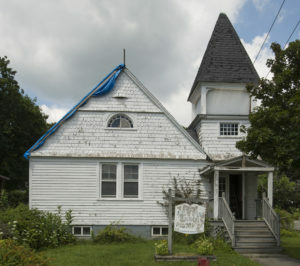 Clinton Church Restoration, which purchased the historic National Register property in 2017, plans to restore and repurpose it as a heritage site and visitor center dedicated to interpreting the Berkshires rich African American history and the life and legacy of civil rights pioneer and native son W.E.B. Du Bois. A performance space and fellowship hall will provide space for the community to come together to enjoy the arts, partake of educational programming, and learn about civic engagement, activism and social justice. Huff + Gooden was one of the firms responding to the nonprofit’s Request for Proposal for historic preservation, architectural design, and engineering services. The team has extensive experience working on African American museums, cultural centers, and historic sites, including the California African American Museum in Los Angeles, NYC’s Schomburg Center and Studio Museum in Harlem, African Meeting House on Nantucket, Samuel Harrison House in Pittsfield, the International African American Museum in Charleston, SC and chronicling the history of the Smithsonian National Museum of African American History and Culture in Washington, D.C. Huff + Gooden Architects is a certified Minority-owned Business Enterprise and five of the eight firms comprising the team are African American- and/or women-owned and led. Gooden, who will serve as the prime consultant and principal in charge, is the lead design architect for the expansion and renovation of the California African American Museum in Los Angeles. 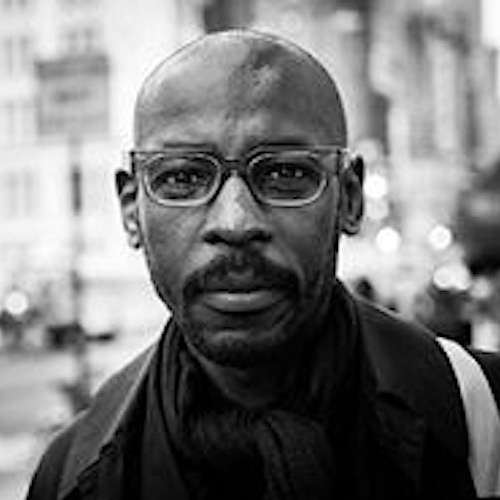 He is a Professor of Practice at the Graduate School of Architecture, Planning and Preservation of Columbia University and author of Dark Space: Architecture, Representation, Black Identity, which examines the construction of African American identity and representation through architecture. After an initial kick off meeting, Gooden and his team will focus on replacement of the building’s leaking roof and repair of related structural damage. Funding for this stabilization work has been secured and is expected to begin this winter. This project is being supported in part by an African American Civil Rights Grant from the Historic Preservation Fund administered by the National Park Service, Department of the Interior, and the Upper Housatonic Valley National Heritage Area. Additional funding comes from the Citizens of Great Barrington through the Community Preservation Act, and a emergency matching grant from the Massachusetts Preservation Projects Fund through the Massachusetts Historical Commission, Secretary of the Commonwealth, William Francis Galvin, Chairman. The property is on the National Register of Historic Places. FROM PRESERVATION MASSACHUSETTS (October 18, 2018) — The Clinton A.M.E. Zion Church has been named one of Massachusetts Most Endangered Historic Resources. Since 1993, this list has been compiled and published by Preservation Massachusetts, the statewide nonprofit historic preservation advocacy organization. Tucked away at 9 Elm Street in the heart of downtown, the Clinton AME Zion Church in Great Barrington is a distinctive example of 19th century, vernacular, church architecture. Dedicated in 1887, the church served as the spiritual, cultural and political home for the local African American Community for nearly 130 years. It is historically significant for its association with author and civil rights leader W.E.B. Du Bois, a Great Barrington native who has been called “the premier architect of the civil rights movement in the United States.” The church is the only extant building associated with his formative years. When the Clinton AME Zion Church, unused for several years and structurally comprised, was put up for sale in 2016, there was community concern that the building would be lost to demolition and development. In late 2016, the nonprofit group Clinton Church Restoration was formed to save, preserve and repurpose the now deconsecrated church. They rallied to raise funds and purchased the property in 2017. Their vision is to have the site serve as an African American heritage and visitor center that will interpret the legacy of W.E.B. Du Bois and tell the story of the church’s 130-year history, its first female pastor and the local African American community. Given the building’s structural issues and ongoing deterioration, costs are substantial to complete necessary stabilization work as well as move forward with plans for future use. If the stabilization is not completed, an important touchstone of African American history and culture in Massachusetts could be lost. The other endangered resources listed in 2018 are: Arlington High School (Arlington), Attleboro Switch Tower (Attleboro), JR Alley Brewery (Mission Hill, Boston), The Pillars & The Columns (Dennis), Calf Pasture Pump House (Dorchester), GAR Hall (Lynn), Historic Stonewalls (Massachusetts), Echo Bridge Railings (Newton/Needham), and Town Hall & Auditorium (New Salem). The 2018 Massachusetts Most Endangered Historic Resources list will be publicly recognized at the Believe in Preservation event, hosted this year at Nixon Peabody LLP, 100 Summer Street, Boston on November 7th. For more event details, and more information on the Massachusetts Most Endangered Historic Resources Program, visit www.preservationmass.org or call 617-723-3383. Since 1993, the list of most endangered historic resources has become an effective tool for preservationists to focus statewide attention on the condition of individual historic properties and their importance to communities. Of the more than 220 historic resources designated as endangered since the list’s inception in 1993, 91 have been classified as saved, 31 have been lost while many more are either progressing or continue to face threats. This year’s list was chosen by a committee from nominations submitted by groups and individuals concerned with local preservation issues throughout the state. Submissions are judged by several criteria, including their historic significance, the extent of the threat and the community’s commitment to preserving the resource. Founded in 1985, Preservation Massachusetts is the statewide non-profit organization that actively promotes the preservation of historic buildings and landscapes as a positive force for economic development and the retention of community character. Great Barrington, Mass. 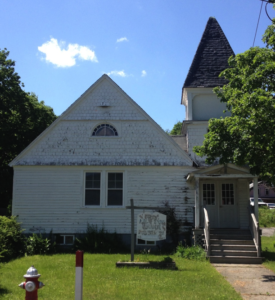 (August 20, 2018) — Clinton Church Restoration, Inc. is seeking proposals for historic preservation, design and engineering services for the former Clinton A.M.E. Zion Church at 9 Elm Court in Great Barrington, Massachusetts. The nonprofit purchased the historic property last year and plans to restore and repurpose it as an African American Heritage Center. “We invite inquiries from well-qualified preservation architects,” said Diego Gutierrez, board member and building committee chair, noting that the announcement is being sent to a list of recommended firms, and that women- and minority-owned firms are encouraged to submit proposals. Interested parties who have not received the announcement may contact Gutierrez by email at housyarch@outlook.com. Dedicated in 1887, the Clinton A.M.E. Zion Church is significant for its association with civil rights leader and native son W.E.B. Du Bois, and as a distinctive example of 19th-century vernacular church architecture. It also served as the spiritual, cultural and political home of the local African American community for nearly 130 years, and is listed on the National Register of Historic Places. The building, which was deconsecrated in 2016, has been vacant for several years and suffers from severe water damage. Great Barrington, Mass. (May 24, 2018) — Clinton Church Restoration, Inc. has been awarded a $100,000 grant from the Town of Great Barrington’s Community Preservation Act (CPA) Funds. The recommendation to fund the project was made by the town’s Community Preservation Committee and approved at Town Meeting on May 7. The grant will be used for the first phase of restoration work on the former Clinton A.M.E. Zion Church, which the nonprofit group plans to repurpose as a performance venue and cultural center. The historic church, significant for its association with civil rights leader and native son W.E.B. Du Bois, and as a distinctive example of 19th century vernacular church architecture, has been vacant for several years and suffers from severe water damage. An historic structure report completed earlier this year by Clark & Green Architects revealed structural damage caused by a leaking roof and extreme mold and mildew associated with drainage issues in the basement. Treatment recommendations for the first phase of work include constructing of a new wood shingle roof over the entire structure, improving site and basement drainage and raising the building approximately two feet to make the church’s basement social hall usable, code-compliant space. The CPA funds will be combined with a recent $75,000 emergency grant from the Massachusetts Historic Commission and $389,000 from the National Park Service African American Civil Rights Grants Program awarded to Housatonic Heritage for the first phase of work on the project. CPA funds are derived from a surcharge on property tax bills and are used for initiatives related to affordable housing, open space and historic preservation. Competition for funding was high with close to $900 million in requests for this year. Dedicated in in 1887, the church was the spiritual, cultural and political home of the local African American community for nearly 130 years. It is a site on the Upper Housatonic Valley African American Heritage Trail and was entered into the National Register of Historic Places ten years ago this month. GREAT BARRINGTON, MA, April 5, 2018 — William F. Galvin, Secretary of the Commonwealth and Chairman of the Massachusetts Historical Commission, has awarded a $75,000 emergency grant to Clinton Church Restoration for the installation of a new cedar shingle roof on Great Barrington’s historic Clinton A.M.E. Zion Church. The matching grant is a discretionary award from the Massachusetts Preservation Projects Fund and represents a critical portion of the funding needed for the initial phase of restoration work on the historic church. Under McAlister’s leadership, Clark & Green recently completed a 125-page historic structure report that includes an assessment of the building’s current condition and provides treatment recommendations for the restoration. The decision to replace the existing asphalt roof with wood shingles that reflect the building’s earliest period of existence was made in consultation with the Massachusetts Historic Commission. 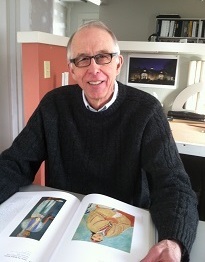 McAlister and preservationist Bill Finch, who worked on the historic structure report, will speak about the architectural history of the church and present the report’s findings at a public presentation to be held April 15 at 2pm at Saint James Place in Great Barrington. The Clinton A.M.E. Zion Church is listed on the National Register of Historic Places and is part of the Upper Housatonic Valley African American Heritage Trail. Dedicated in 1887, it is a distinctive example of late 19th-century vernacular church architecture and is historically significant for its association with author and civil rights pioneer W.E.B. Du Bois. Prior to closing in 2014, the church had served as the cultural, spiritual and political home of the local African American community for nearly 130 years. Clinton Church Restoration plans to restore and repurpose the deconsecrated church as a cultural heritage center that celebrates and honors the local African American community, the church’s history and its first female pastor, Rev. Esther Dozier, and the life and legacy of W.E.B. Du Bois. The Massachusetts Historical Commission is the office of the State Historic Preservation Officer and the State Archaeologist. It was established in 1963 to identify, evaluate, and protect important historical and archaeological assets of the Commonwealth. Great Barrington, Mass., March 20, 2018. The Upper Housatonic Valley National Heritage Area (Housatonic Heritage) announced that it has received a grant of $388,508 to assist in the restoration of Great Barrington’s historic Clinton A.M.E. Zion Church. The funds will be used for Phase 1 construction work to address the most critical needs of the property, located at 9 Elm Court. It is anticipated that the grant funding will allow work to begin by early summer. The National Park Service African American Civil Rights grant award is part of $12.6 million awarded to 51 projects in 24 states that preserve sites and highlight stories related to the African American struggle for equality in the 20th century. The grant is funded through the Historic Preservation Fund (HPF) and is administered by the National Park Service (NPS). Phase I work on Clinton Church will focus on areas of the building that most urgently need attention, and may include a new wood shingle roof, abatement of mold and mildew, improved drainage, replacement of the basement floor slab, raising the building to make the basement useable, and repair or modification to the parsonage to prepare it to be used for programming and interpretation. Housatonic Heritage’s Executive Director, Dan Bolognani, voiced his gratitude, saying that “Housatonic Heritage is pleased that we’re able to play a pivotal role in this important undertaking. The Historic Preservation Fund grant was welcome news as the Clinton Church Restoration project is poised to make significant progress in the needed ‘brick & mortar’ repairs.” He went on to state that “This grant program for African American Civil Rights projects came along at exactly the right time, as we were just completing the critical public-input process and background materials that will inform the reconstruction process.”. The Upper Housatonic Valley National Heritage Area is a partnership program administered through the National Park Service, and serves the 29 communities of the Housatonic River watershed in MA and CT. Its mission is to illuminate the diverse, rich identity of the upper Housatonic River valley region and to preserve and promote its historical, cultural and natural resources. Details at www.HousatonicHeritage.org. Great Barrington, Mass. (July 31, 2017) – Clinton Church Restoration, Inc. (CCR) has hired a local architectural firm to prepare a historic structure report for the former Clinton A.M. E. Zion Church in downtown Great Barrington. Clark & Green Architects is one of five firms that responded to a request for proposal issued by CCR, the nonprofit that recently purchased the Elm Court property from the North Eastern Episcopal District of the A.M.E. Zion Conference. The historic structure report (HSR) is a key step on the path to restoring the 130-year-old, deconsecrated church, which is listed on the National Register of Historic Places and is a site on the Upper Housatonic Valley African American Heritage Trail. Comprised of two parts, the HSR will provide a detailed assessment of the physical condition of the building, recommendations for immediate actions needed to stabilize the building, and a catalogue of specific elements of architectural or historic value. It will also include an analysis documenting the historic, cultural and architectural importance of the property. Crucial to defining the project’s architectural scope of work, the report will guide construction work on the building and site and will be integral to the organization’s fundraising. Steve McAlister, senior architect and project manager at Clark & Green, noted that an HSR typically reveals many interesting facets of a building’s history. 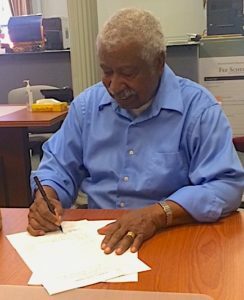 “Clark & Green is delighted to take part in this great community endeavor to preserve the cultural and spiritual legacy of the Clinton Church, and to help spread the story of Berkshire County’s contributions to African-American culture and history,” he said. Prior to its closing in 2014, the former church was the spiritual, political and cultural hub for the local African American community. It was also a place of significance to W.E.B. Du Bois, who was born and raised in Great Barrington. 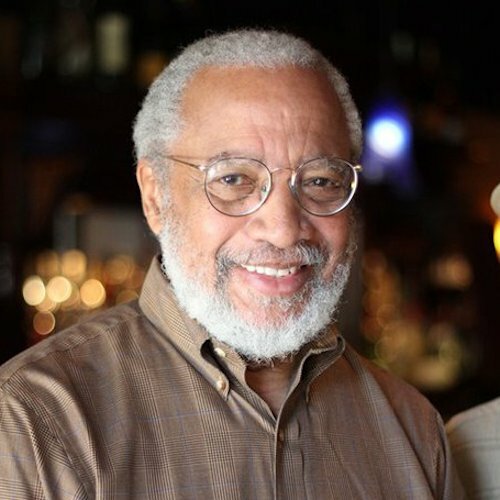 The CCR initiative, chaired by longtime Clinton Church congregant Wray Gunn, is part of a growing movement around the country to preserve and honor African American historic places. Great Barrington, Mass. (June 1, 2017) – Clinton Church Restoration Inc. has finalized its $70,000 purchase of the historic former Clinton African Methodist Episcopal (A.M.E.) Zion Church at 9 Elm Court. Community members contributed $110,000 toward the “Phase l” effort; the additional funds will provide a jump-start for costly repairs needed at the property. The former church, which has been closed for several years, was purchased from the North Eastern Episcopal District of the A.M.E. Zion Conference. However, much work remains for the next phase of the project: the building needs a new roof and must be stabilized, interior gutting and mold remediation are needed, pews and furnishings must be moved into storage, and the contents of the church and its architectural details must be catalogued. Fundraising for Phase I will begin soon, and will include special events that bring awareness and education about race, justice, and civil rights in America. Meanwhile, the project’s building committee, headed by board member and local architect Diego Gutierrez, is working with historic preservation experts, architects and contractors. Planning for the ultimate use of the historic building and a sustainable future for the property is also underway. The organization is working with a visioning document created by interpretative master planner and designer Veronica Jackson after a public meeting and two design charrettes held in March. Jackson is known locally for her design of the interpretive panels at the W.E.B. Du Bois National Historic Site in Great Barrington. Honoring Du Bois’ legacy is among the project’s goals. Great Barrington, Mass., March 30, 2017 — Clinton Church Restoration, LLC, has surpassed its initial goal of raising $100,000 to purchase, restore and repurpose the historic Clinton A.M.E. Zion Church at 9 Elm Court in Great Barrington. The announcement comes just one day before the organization’s March 31 deadline. Gunn noted that CCR’s fundraising effort received an important boost in February, when Housatonic Heritage, a project of the National Park Service and CCR’s fiscal sponsor, put forth a $10,000 challenge grant, matching donations 1:1 for a period of six weeks. He said his organization is grateful to everyone who supported this initial campaign, which reached the halfway mark in mid-January. CCR’s goal is to create a vital and self-sustaining entity for community use that celebrates and honors the 130-year history of the former Clinton Church. Now listed on the National Register of Historic Places and a site on the Upper Housatonic Valley African American Heritage Trail, the church was the spiritual, political and cultural hub for local African Americans. It was also a place of significance to W.E.B. Du Bois, Great Barrington’s most famous native son. Gunn and his wife Cora Portnoff, who was also a member of the congregation, are part of a group that has been working to rescue the historic building since last fall. The initial call to save the deconsecrated church, which has been out of use for several years and is in severe disrepair, came from former parishioners and community members in October. Great Barrington Selectboard member Ed Abrahams and local activist Beth Carlson joined forces and began rallying community support. The all-volunteer effort quickly coalesced and within a few weeks had become a Massachusetts nonprofit. Joining Gunn, Portnoff and Carlson on the board of directors is Dan Bolognani, executive director of Housatonic Heritage, Dennis Powell, president of the Berkshire County Chapter of the NAACP, and Diego Gutierrez, owner of Housatonic Architecture. The organization has a group of 10 advisory board members and intends to add more. CCR’s initiative is part of a growing movement around the country to preserve and honor African American historic places. 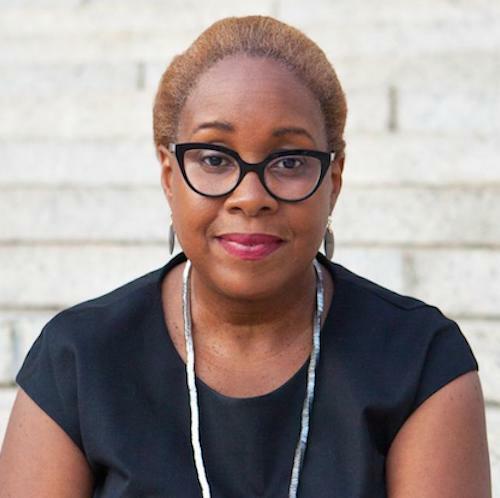 The group has been working with Veronica Jackson, an interpretative master planner and architecture-trained museum exhibit designer with expertise in projects that honor African American history, including the W.E.B. Du Bois homesite in Great Barrington, and the African Voices exhibit for the Smithsonian Institution’s National Museum of Natural History. In early March, Jackson facilitated a public meeting and two design charrettes for the group in order to garner public input and create a “visioning document” for the project. The group’s next steps are to turn that vision into a concrete plan for programming that will guide the restoration, and to recruit a diverse group of volunteers to share their expertise in fundraising, PR, historic preservation and project management. Clinton Church Restoration, Inc. is a 501(c)(3) nonprofit located in Great Barrington, MA.